Chancellor Paydar presented The Chancellor's Medallion to Hussain Taylor, who accepted on behalf of his parents, Joseph T. Taylor and Hertha M. Taylor at the 2019 Joseph T. Taylor Symposium. Previous Taylor Symposia have focused on topics like urban health care, mass incarceration, and politics and race. Presented by the IU School of Liberal Arts in conjunction with the Department of Communication Studies and in partnership with Spirit & Place. Luncheon keynote: "The Importance of Communication in Achieving Health Equity"
Presented by the IU School of Liberal Arts in conjunction with the Department of Anthropology and in partnership with Spirit & Place. It’s not foreign. It’s U.S.
Faith-Based Initiatives: Boon or Bust? 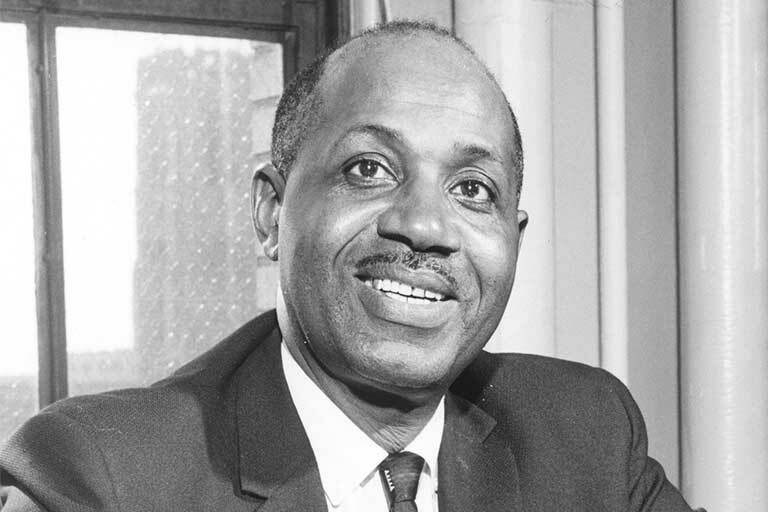 Joseph T. Taylor was a visionary and pioneering educator. A longtime professor of sociology and the first dean of the School of Liberal Arts, he helped lead the development of the IUPUI campus. He was an expert consensus builder who was committed to dialogue and diversity. 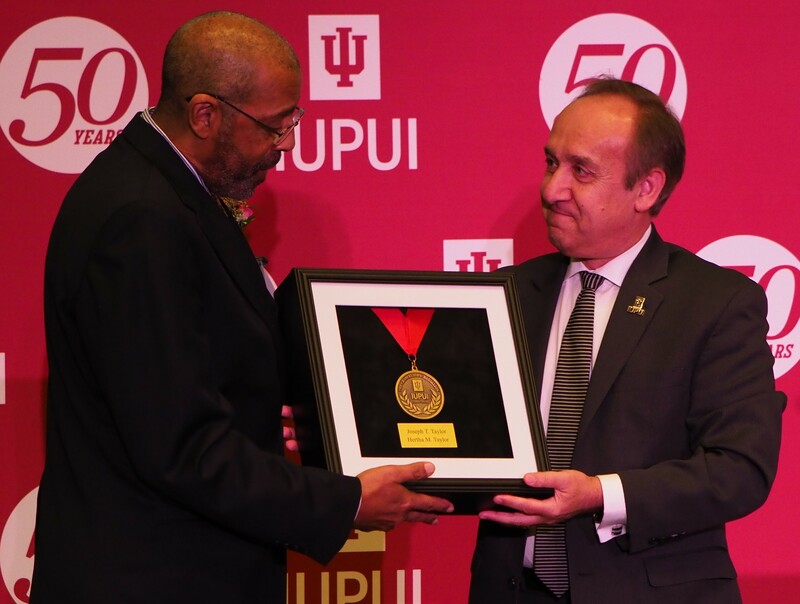 This symposium honors him for his many contributions to Indiana University and Indianapolis. Help us continue to have these important discussions.